Back in April I went for my first run in a long while. A stop/start run around my local park - very hilly, and completely knackering. But I survived! Since then I have completed 20+ runs between four and eleven kilometers in length and am starting to really enjoy running. Yes, enjoy! Last month I shared with you my health and fitness changes for 2015 and my successes so far. 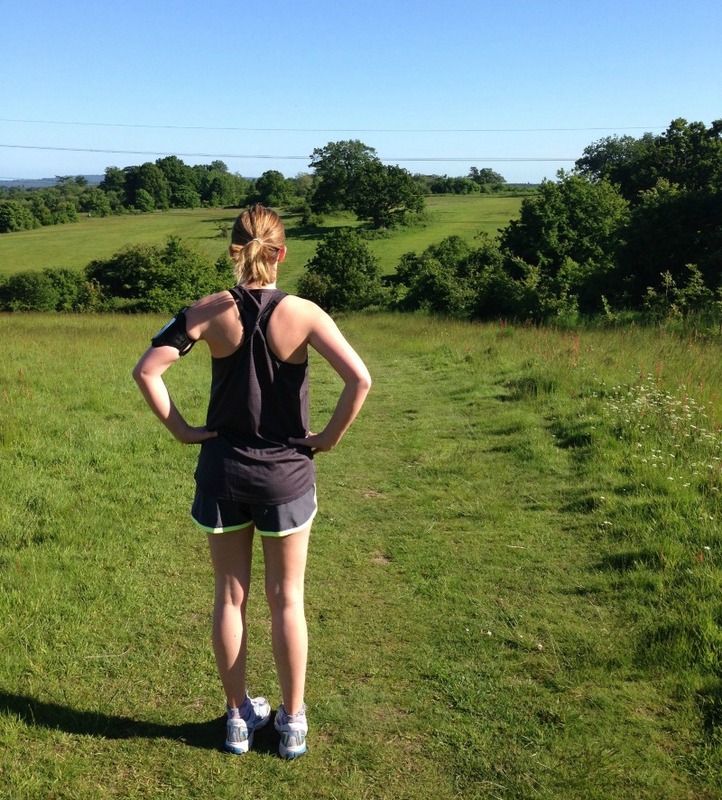 This time round I wanted to post a few words on my running journey. I am by no means an expert on fitness, health and the like but I do see value in personal experience - how ordinary people make changes that work for them. Find a buddy. This is a really personal one, but for me running with a friend works. It keeps my mind occupied and helps me maintain a steady pace. Last week I ran on my own and my pace varied so much I couldn't run nearly as far as I do with a buddy. I do most of my running with Hannah - we have a good old gossip and the time quite literally flies by. Change it up. Route, music, weather conditions, buddies. Keeping it fresh means you can avoid boredom or over-saturation. I try to vary my routes - I'm a nosy person so running through town means I can people watch (I'm not even joking), but at the same time a scenic run can feel therapeutic. I'd go mad if I ran the same route each time! But most of the time my routes are really just arranged around avoiding as many students as possible... no one wants to see their teacher red faced, sweaty and in shorts! Combine with other exercise. I've been combining my longer runs with HIIT (high intensity interval training) - 30 second sprints followed by 60 second jogs. This helps build stamina, strength and fitness and essentially helps you run further. I do this in the gym, alongside resistance training, to create some variety and work different muscles. Find the right gear. I hate running in gym leggings - I'm a shorts girl. All that freedom and they have built in pants... yeh. It doesn't get much better than that. Go with what your comfortable in, but is also supportive and flexible. If buying some new trainers or a sports bra gets you motivated, in my eyes that's no bad thing! Set a goal. Next weekend I'm running the Race for Life 10k with Cancer Research UK and Scottish Power and for me that has been a huge motivator. I would usually aim for around 5k in distance, but the race has pushed me to further distances. The best thing? I can do it! Sometimes a little nudge is all you need to motivate you and propel you further. You may not be in to races, so try something else - a distance, time or weight-loss goal. You'll be surprised how quickly you reach it. As I said, I am by no means an expert but these pointers have really helped me over the past few months. What are your running tips? I keep saying I'm going to go running but I dont! I think I feel um going too slow so get disheartened when I do get myself out there. This post is pretty motivating though I'll be honest. It's good to have a goal in mind to push you. I recently started running by taking on the Couch to 5K challenge and so far I am really enjoying it, and that's something I never thought I would say about running. I've been going to the gym several days a week now for close to a year but with the warmer months now with us I wanted to spend more time outdoors, instead of in a gym. I have to admit that I'm pretty rubbish and at the moment I can only just run for the 90 second running slots and feel such a sense of relief when the podcast tells me that it's time to slow to a walk, but it's a start. I'm hopeful that I will be able to build up to running 5K without stopping by the end of summer, it's baby steps and sometimes I feel rubbish that I can't manage more but I'm just not a runner. It's making me pretty happy though, and there is nothing better than getting in a 6am run before work, and that's what matters right? :) This post has definitely boosted my motivation to keep going so thank you for that! I really need to get back into running, just the thought of it puts me off! Where do you get your shorts from? I have never found any I like!